at Runaway Beach on 4th January 2019. Swim and walk with care is the advice here! 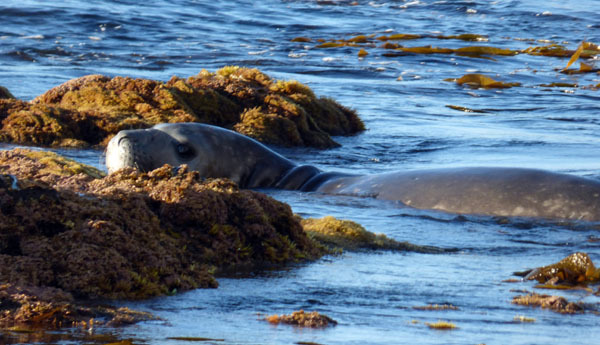 show a Southern Elephant Seal hauled up at Flat Rocks. 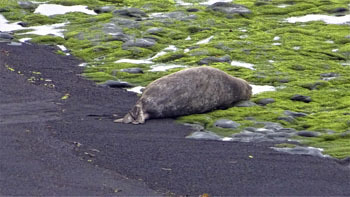 Elephant Seals are frequently seen hauled up on Tristan's black sand beaches and occasionally pups are born on the island. 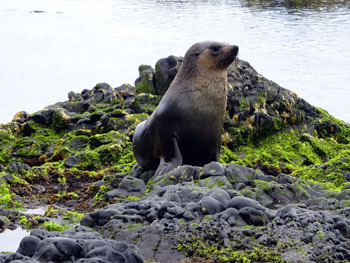 Almost all pups are born at the main breeding colony at the east of Gough Island. was 'tried' in tri-pod based cauldrons, numbers are recovering slowly from almost nil in the 19th Century. on Runaway Beach below the Potato Patches on Tristan. 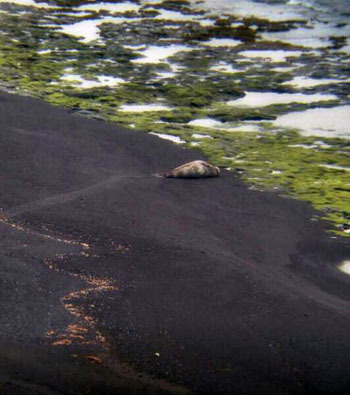 Formerly hunted for their pelts, meat and oil, fur seals have considerably recovered in numbers since being virtually hunted out in the 19th Century. 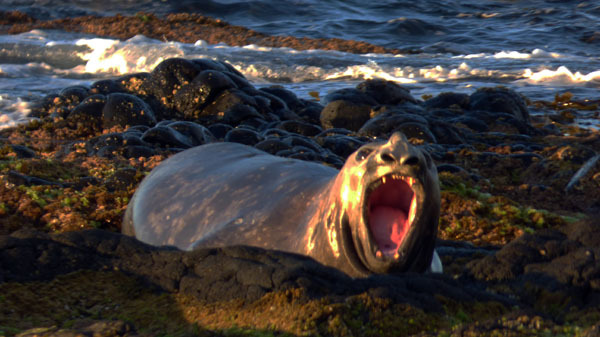 Gough Island contains 80% of the world's population, with an estimated 300,000 animals and 60,000 pups born every year. 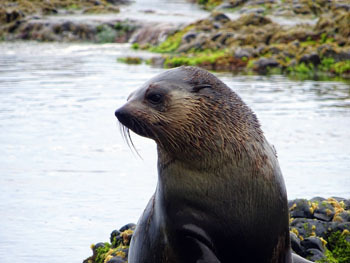 A small breeding colony at The Caves on Tristan's southj coast is expanding, and fur seals are frequently seen around all the island's coast, including the Settlement Plain.